The mysterious Hajime botnet was first discovered by Rapiditynetworks in Oct 2016, and it was all over the news earlier this year, but it seems that nobody talks about it any more now, is this botnet gone? 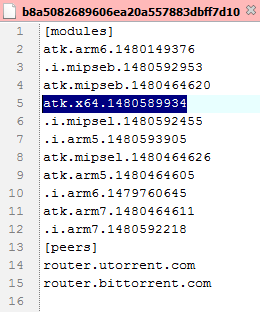 The answer is no, our team has been tracking this botnet for quite some time, and we have recently noticed the number of infections has been going up, and a very interesting feature, an x64 config has been added in the code(is the botnet author eying PC platform as the next target? Or key leaked?). Unlike the traditional Hajime-runs-in-sandbox solution, which really has no control over the bot besides merely observing it(a good example, researcher cannot ask the bot in sandbox to go over all the peering nodes and pull all the files). For some basic concepts of Hajime botnet, we suggest readers to take a good look at the Rapiditynetworks paper here so we don’t need to repeat known facts here. Hajime’s implementation follows the modular programming paradigm. 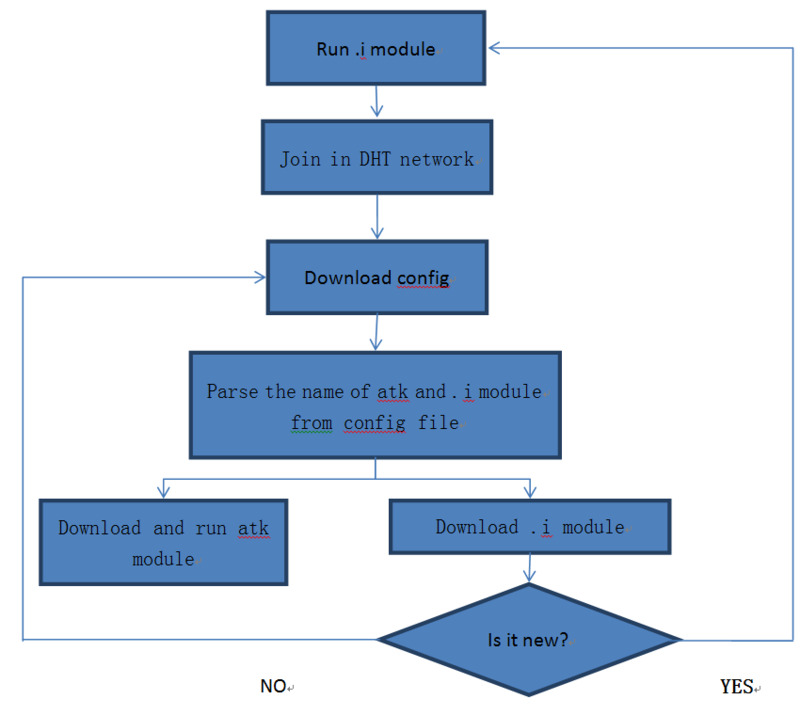 There are two common executable modules: "execution module” (also known as stage2 or .i module) and “propagation module" (also known as atk module). In the propagation module (.i module), the Hajime nodes will establish a P2P network based on the DHT protocol. On top of this P2P network, Hajime nodes can perform inter-node negotiation, control command transmission and file synchronization. Any node can obtain the control instructions from the administrator without direct communication to the administrator. This not only provides protection for the administrator, but also maintains the stability of the botnet itself. Once the network is set up, it is extremely difficult to take it down. In the DHT network, Hajime encodes the config file as a special infohash value. This is a 160 bit binary number, changed daily. By indexing the infohash value, Hajime can get the latest config file. The above figure shows a config file in August 12, 2017. You can see it is a text file. The modules field contains the module file name for different CPU architectures. The peers field specifies the entry domain name for the DHT network. The two domain names are both valid and publicly accessible. The configuration file will direct Hajime to synchronize to the latest "propagation module (atk module)" or “execution module (.i module)". 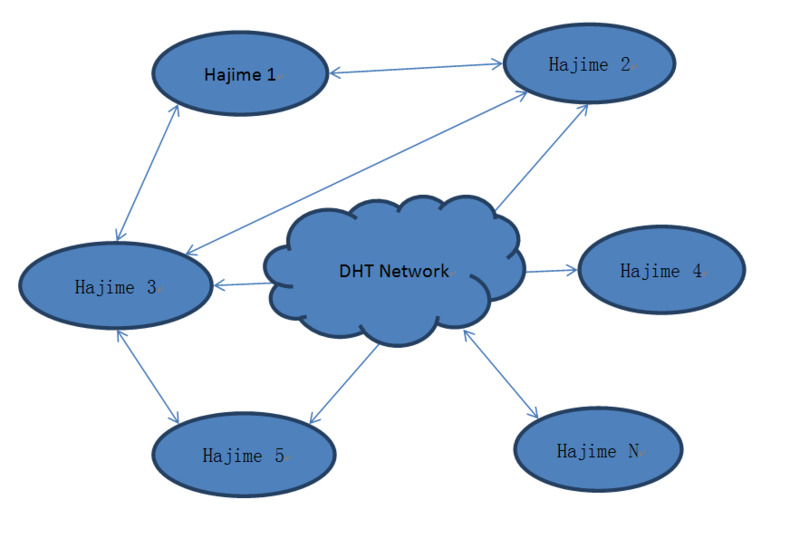 In a DHT network, each Hajime node can correspond to a peer. 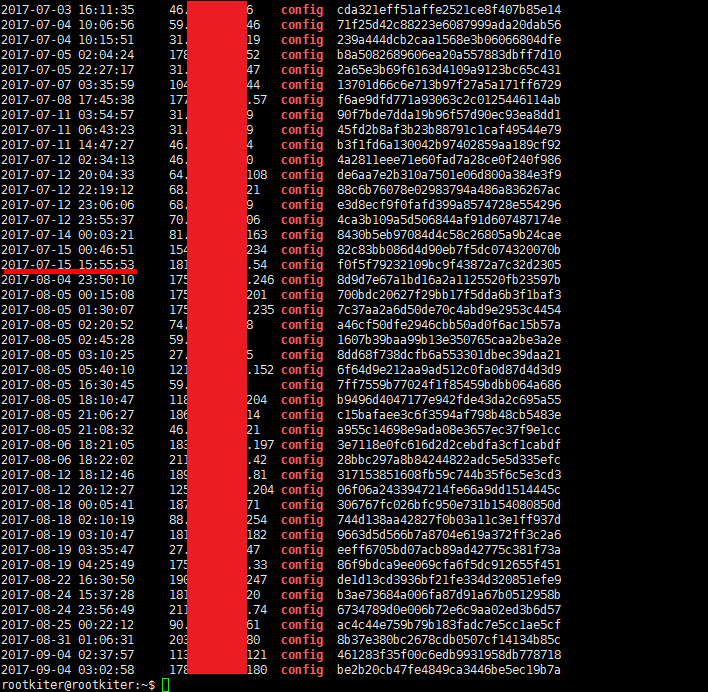 By searching in the DHT network, the Hajime node can easily get the address information of other Hajime nodes. During file synchronization, it will traverse other nodes sequentially and perform synchronization on each node. The inter-node communication relies on the uTP protocol. This protocol implements mechanisms such as three-way handshake, session retransmission and session interruption based on UDP to ensure trusted communication between Hajime nodes. On the channel provided by uTP, Hajime made the RC4 communication encryption for each session to ensure that others could not restore the content by packet capture. Besides, Hajime uses a key negotiation algorithm to ensure that the RC4 key is not stealable. Hajime uses ECDH as the key exchange protocol and selects a key exchange algorithm based on Curve25519 elliptic curve. Although there are many open ECDH implementations on the Internet, the author of Hajime did not use the existing code directly. He has implemented a more efficient key exchange process. This implementation features on projecting points from the original elliptical space to the new one-dimensional series. Besides, in the "double point" calculation process, it only calculates the X coordinates, without considering the Y coordinates. Therefore he can improve the computational efficiency. In P2P networks, nodes are untrustworthy, and anyone can fake a Hajime node at a very low cost. To ensure that the Hajime network is completely controllable and not stolen by others, Hajime nodes need to verify the signature of each synchronized file before acceptance and execution. Hajime adopts a public digital signature algorithm called ED25519 and uses A55CEED41FECB3AC66B6515AB5D383791B00FEC166A590D7626A04C2466B3F54 as public key, which is integrated into each Hajime's execution module. Thus every Hajime nodes can verify the integrity of an new synchronized file. The following diagram shows daily active hijime nodes since the beginning of July. It is not difficult to spot that in the second half of July, Hajime infection went down. Correspondently there were no botnet file update during that period(did the author go for vacation?) Starting from August, the author started to update the Hajime files, and the bot numbers started to going up, noticeably on 2017-08-06 and 2017-08-12, with the author pushing update, the botnet climbed up really quickly. Subsequently, Hajime completed several updates on 2017-08-18, 2017-08-19, 2017-08-22 and 2017-09-04. This opened the new normality of frequent updates. The deeper the color, the more serious the affected area. In fact, all updates in the past month are patches on the existing code. There’s no dramatic change. 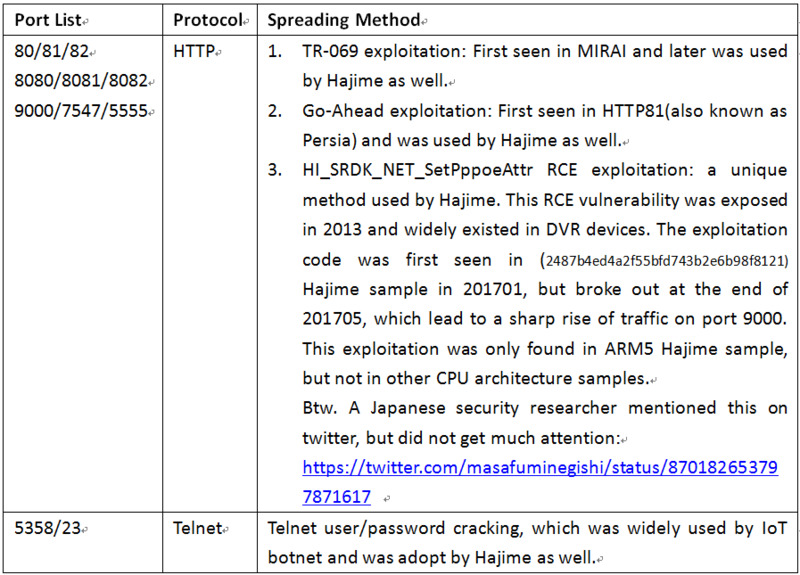 Originally,Hajime propagated mainly thought TR_069 vulnerability and weak telnet account, as time goes by, more vulnerabilities have been added, and the following is the newest vulnerability breakdown. The propagation of Hajime is limited among a small number of different CPUs. Our analysis on 18433 Hajime nodes shows that the Mipseb CPU is affected the most. Our tracking system captured a special config file b8a5082689606ea20a557883dbff7d10 on 2017-08-29. This config file can be verified successfully and contained settings for X64 CPU, which indicated that Hajime author is planning to support PC platforms. We can only get two modules (atk.mipseb/.i.mipseb) listed in the config file while other CPU architecture's modules are unavailable in Hajime network. The "info" field, which contains the author's whitehat declaration, is missing in this config file. This is quite abnormal according to author's previous habit. The author has intention to support x64 platform. As mentioned before, all Hajime files are signed by the private key and need to be verified before any Hajime node takes the update. The private key has been leaked, someone else is trying to poison the Hajime network. We prefer the first scenario at this point, and it will be big change for Hajime itself if it is moving to the pc battleground. We will keep a close eye on what will unfold in the future.